It contains USB port for interfacing with Computer or Laptop for sharing data and setting of different functionalities. 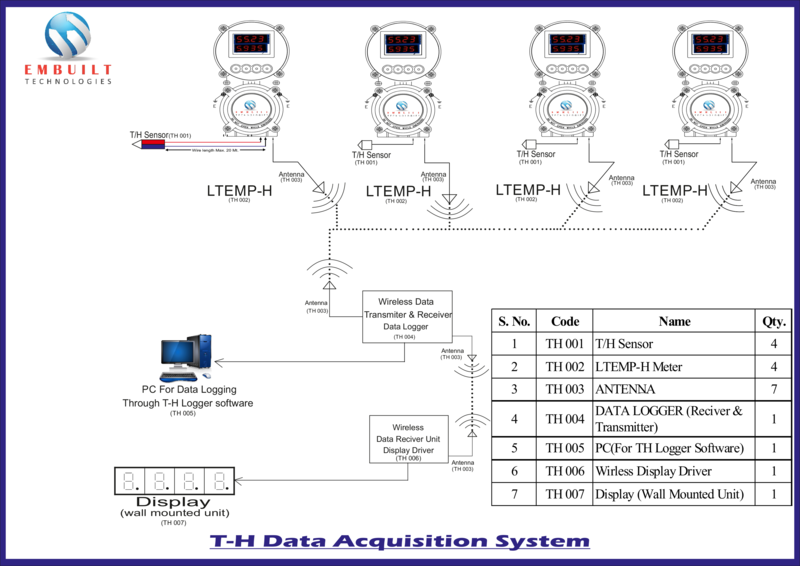 It also provides the facility of Pen drive connectivity for withdrawing internally saved data from the TH-log6 device. It provides alarm facility i.e. 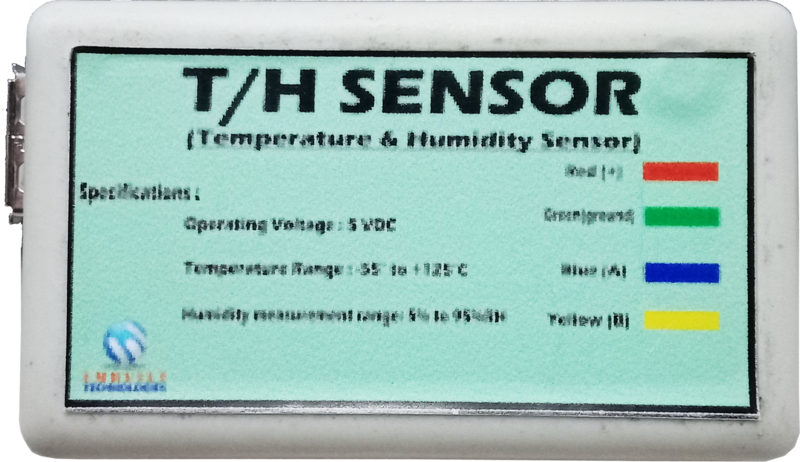 user easily can set the lower and upper limit of temperature and humidity so when the temperature or humidity data goes out of limit then it generates a light indication and buzzer alert also. 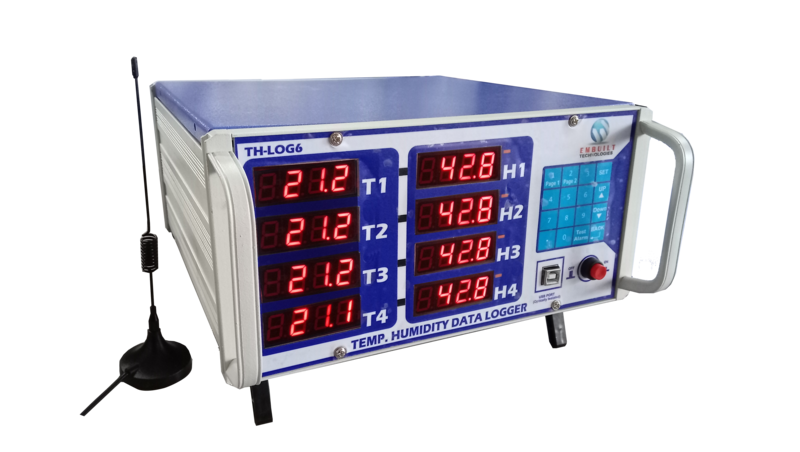 The TH-log6 device has 8 Red big LED display to shows data, where 4 display shows temperature and another 4 for humidity data.